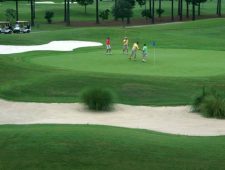 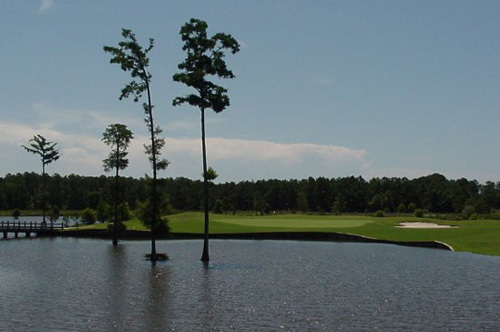 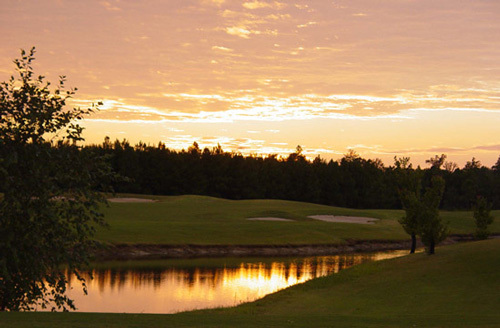 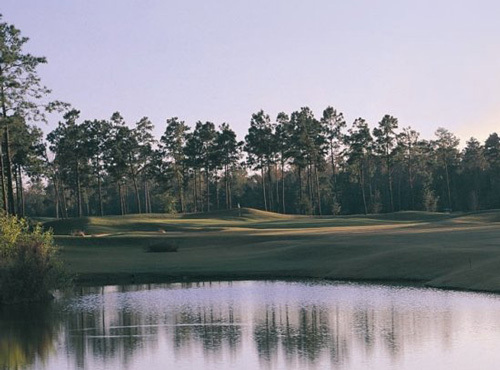 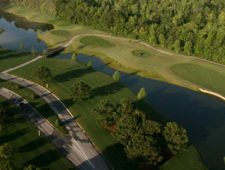 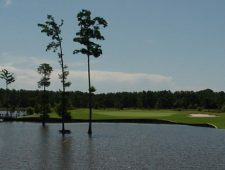 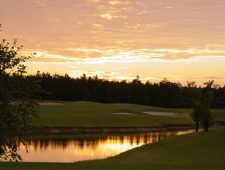 Crow Creek Golf Club is located just north of the North Carolina/South Carolina State line and was opened in February 2000 and has since become one of the most popular Myrtle Beach golf courses for visiting golfers and locals alike. 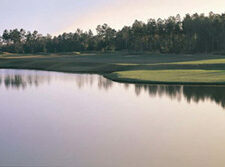 Crow Creek’s a scenic layout is set on developer Jerry McLamb’s 500 acre family homestead. An enjoyable challenge for resort players from the regular tees and championship tees that stretch the layout to more than 7,100 yards for low-handicap players. 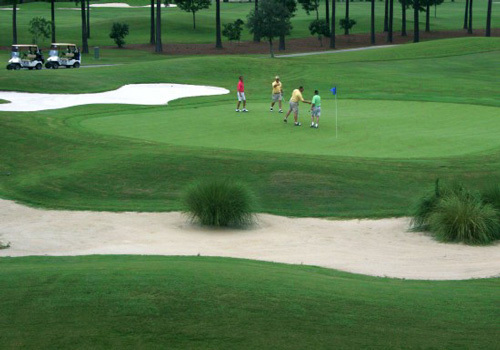 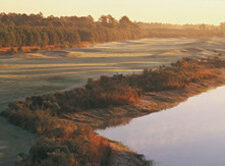 The generous Tifsport bermuda fairways and undulating L-93 bent grass greens create perfect playing conditions.